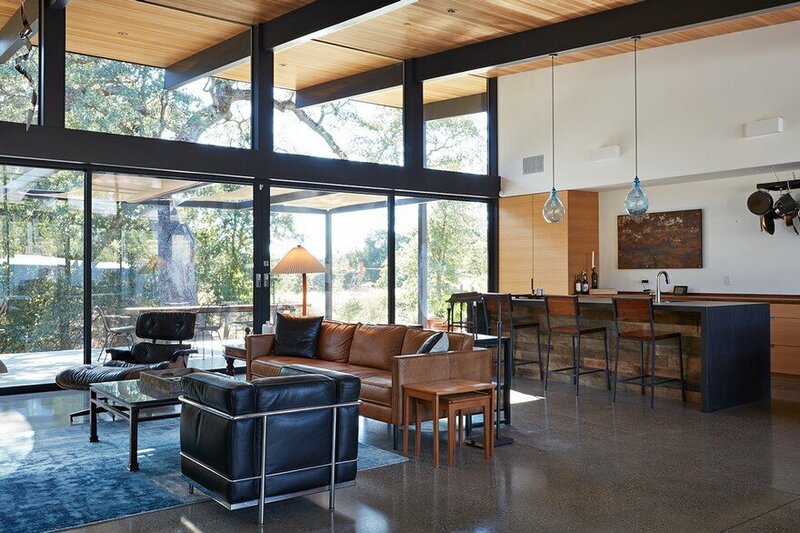 Klopf Architecture designed and Van Gelder Construction built a new Sacramento modern residence to replace an existing ranch home. 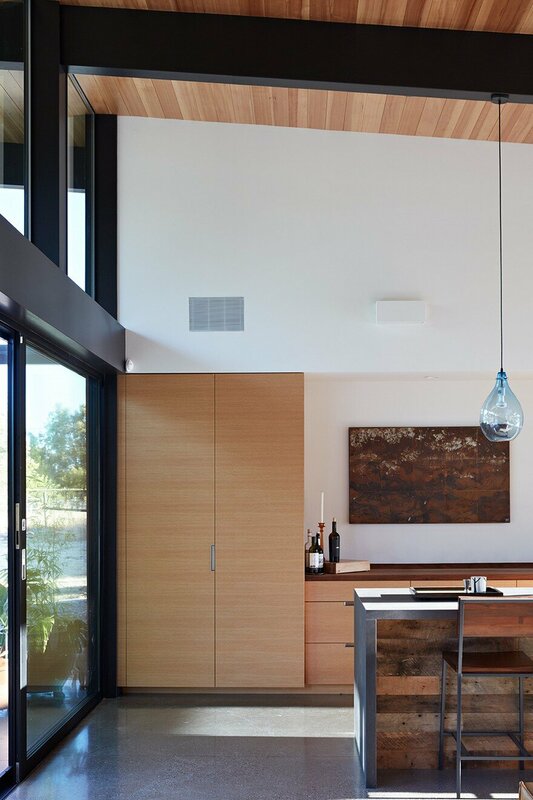 The owners, who previously lived in a Streng home (similar to an Eichler), liked clean lines, simple details, and openness to the outdoors. The site is a large plot in a semi-rural area surrounded by an open field, large oak trees and a seasonal creek. 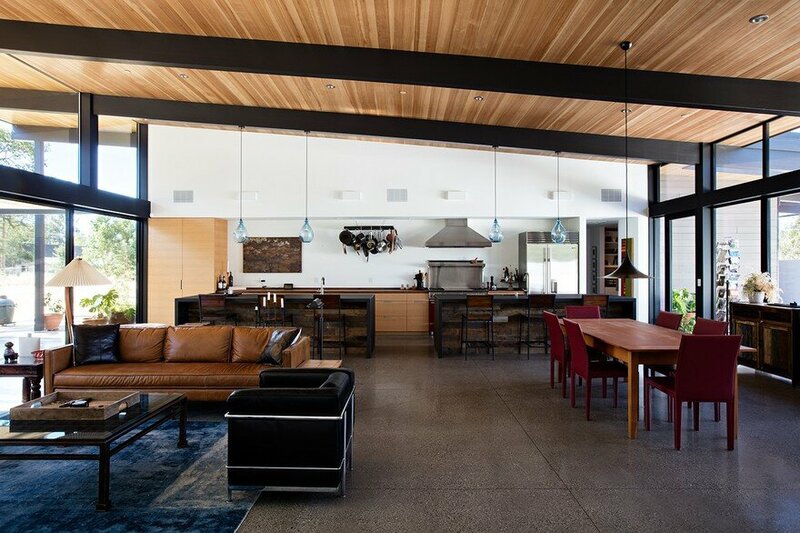 It is a calm environment that invites a close connection with the house. The goals of the project were direct and indirect connections to the surrounding environment and the interior. This Sacramento modern residence sits in a calm and natural environment. 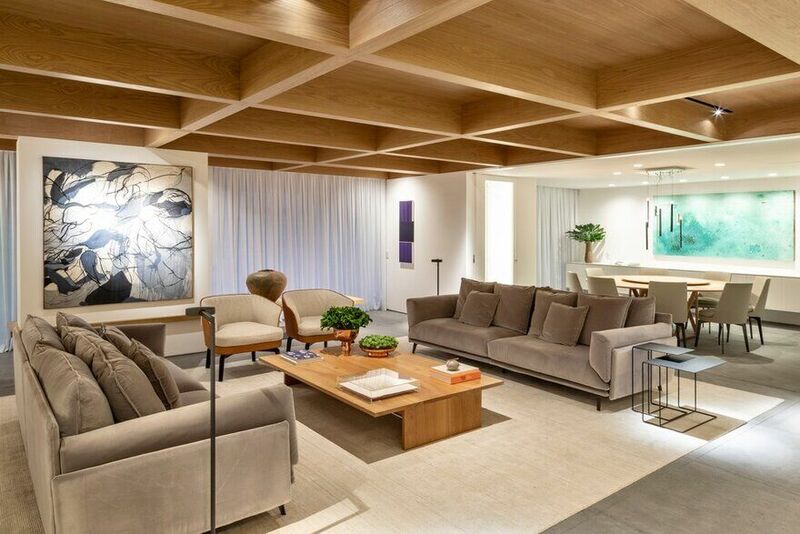 The clients’ primary goal was connecting their indoor living spaces to nature in all parts of the house. 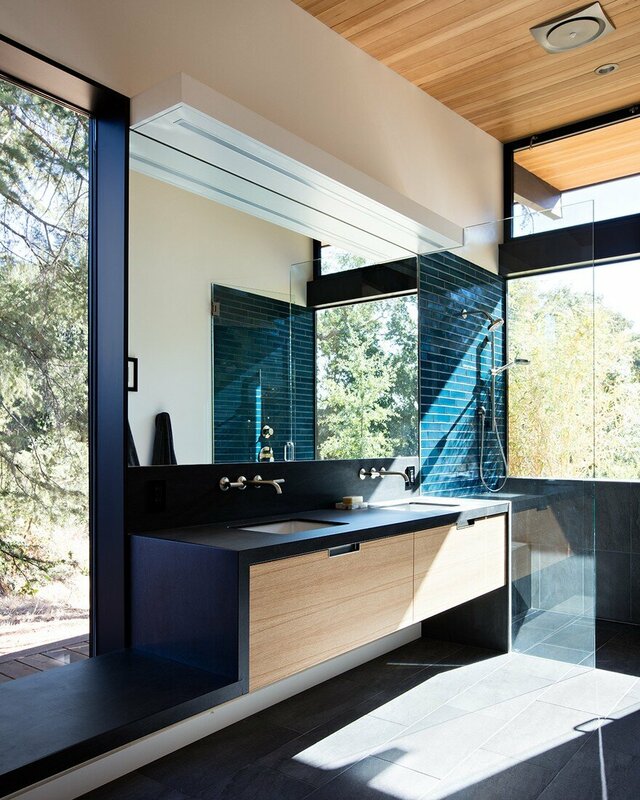 The Klopf Architecture team responded by designing a wide plan for the house that allows the main living space, bathrooms and master bedroom to open up to natural views at the rear. 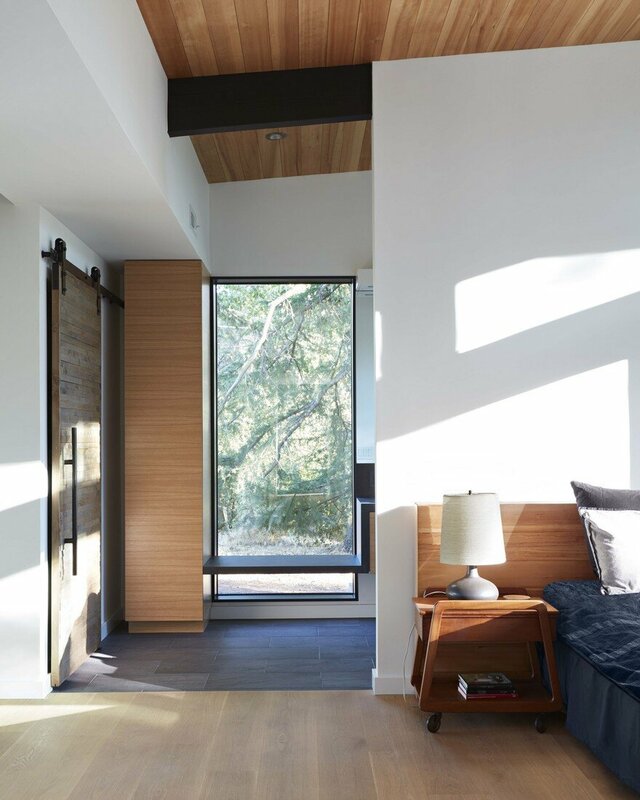 Then Klopf put large sliding doors along the rear of the master bedroom and the main living area to provide direct and expansive access to the outdoors. It was important for the house to sit lightly and keep a relatively low profile out of respect for neighboring houses and the natural feel of the area. Clearly this meant designing a single story home. Additionally the Klopf Architecture team sloped the roof to be at its lowest in the front and open up to the rear. This was intended to create a more humble appearance from the front of the house while still engaging the rear of the side as much as possible. This area gets quite hot in the summer. In response, Klopf designed the house to feel comfortable and still be energy efficient year round and throughout the hot summer days. In the beginning of the day when the sun is low and direct in the front of the house, the couple can open their rear sliding glass doors or live outside on the rear decks. In the middle of the day when the sun is more overhead from the south, the extra deep overhangs and shading devices in the rear patio allow these spaces to be used comfortably. At the end of the day, when the sun is blasting the rear of the house, there is a patio area in the front of the home that is in shade, but still bright because of openings in the roof. Despite the harsher sun and climate in the area, the outside environment can always be experienced comfortably. The design team employed a number of energy efficient strategies to make the interior environment comfortable and efficient. In addition to in-wall insulation, a continuous layer of rigid insulation was applied to the exterior walls of the house (and sealing house wrap and tape) to lower the heat gain. High performance and low solar heat gain glass at the main exposures of the house also reduce the potential heat. A “cool roof” metal roof was used to reflect much of the direct sun and heat before it can heat up the house. The windows are all thermally broken aluminum (Fleetwood and Milgard), which are much more energy efficient than older aluminum windows. 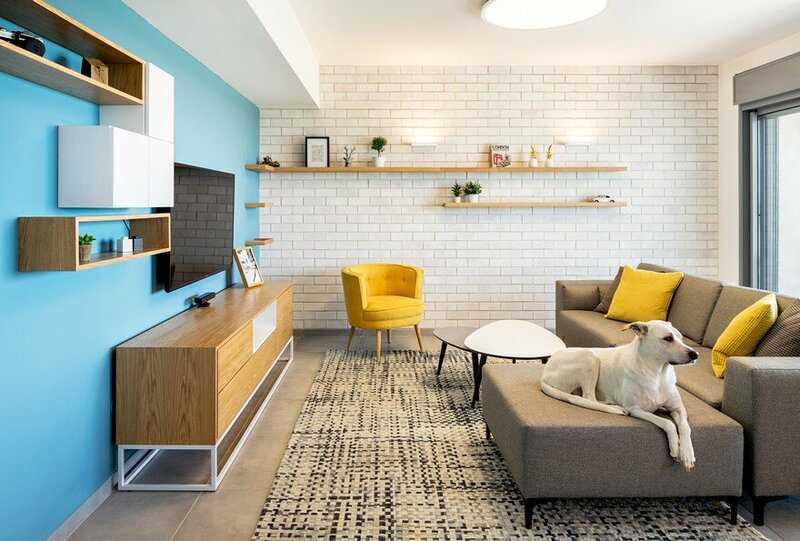 In addition to these defensive strategies, to save even more energy the Klopf Architecture team specified high efficiency heating and cooling units and almost all LED lighting. While natural wood siding looks great, it wouldn’t last long under the harsh sun conditions in Orangevale. 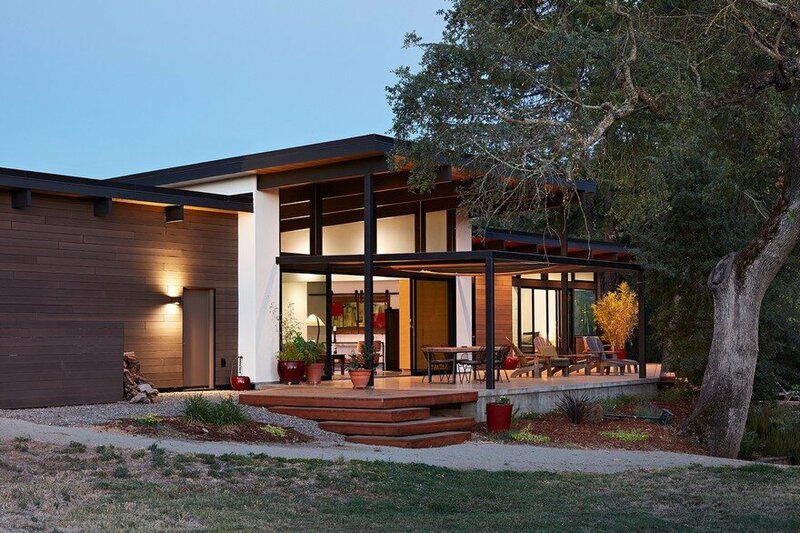 In response, the Klopf team specified high recycled content composite siding (Tru-Grain) that maintains its look without maintenance much longer than wood possibly could, along with some smooth white stucco to visually separate the main living area. 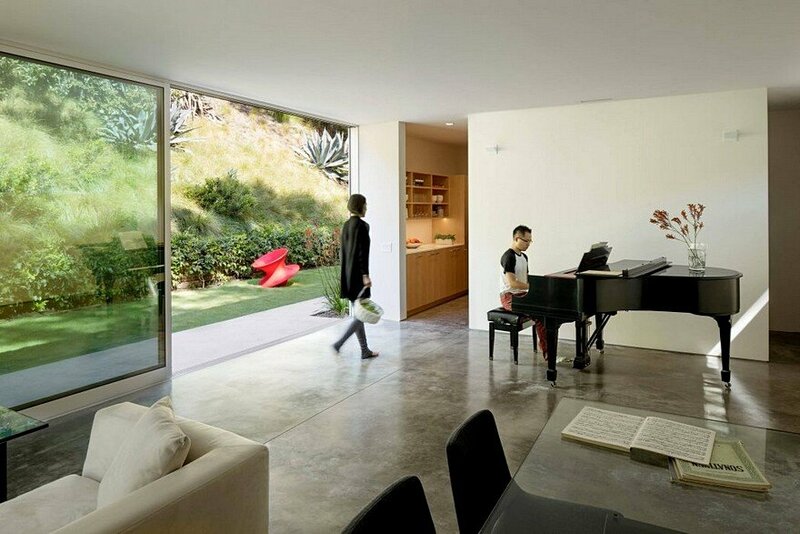 On the interior, the main living space has an exposed concrete floor with composite counters, and white oak cabinets. The bedroom wing uses reclaimed white oak flooring from Blackwood Farm. The owners wanted a different feel between the main living area and the bedroom wing (the bedroom wing is more for rest while the living area is a lot more active), so Klopf varied the materials to some extent. That said, in order to preserve the feeling of flow, Klopf kept many material connections between the two areas. People often ask about challenges during demolition and construction. 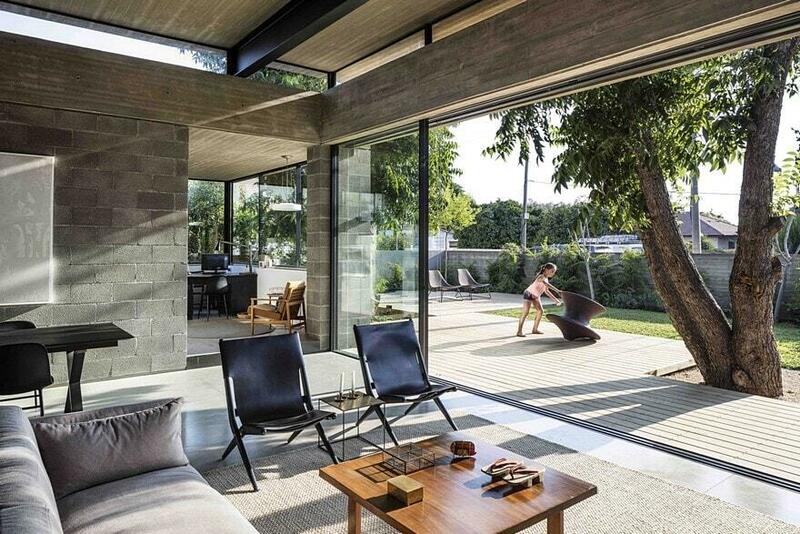 The house project started as an option between tearing down and replacing the existing home and renovating it. The owners originally decided on a renovation, but during construction Sean van Gelder, the builder, discovered that the slab and foundation were too damaged to keep. At that point everyone shifted gears and turned the project into a new house design. The climate (heat) that was certainly a challenge as well. The Klopf Architecture team had to be extra cognizant of the sun angles and also had to carefully design the house for minimal heat gain in the envelope given the high level of openness desired. The owners are a husband and wife with grown kids. They were looking to create a space for their family to relax outside of their jobs and ultimately retire. They are both very creative in their respective fields (he is a TV producer and she is a chef with her own restaurant). They brought their collaborative creativity to the design process for the house. The Sacramento modern residence is a 3 bedroom, 2.5 bath, and 2,633 square foot that is intended to be the home this couple will live in for a long time.